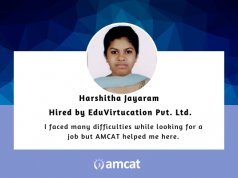 Slated to join a marketing job, Rahul Tiwari talks about the two things he was looking for in his job search and how the AMCAT Test fared on those counts. How the AMCAT Test helped Rahul on his job search journey. Looking for a job? Job seeker, on the great job search journey, you might be facing two common fears – not getting job offers OR landing with a fraud offer or a fraud company. Relax. That is one thing which won’t happen with the AMCAT Test, according to our achiever of the day, Rahul Tiwari. 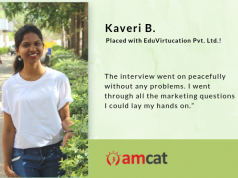 Tiwari, a books and movies aficionado, recently cracked a marketing job after clearing the AMCAT Test. 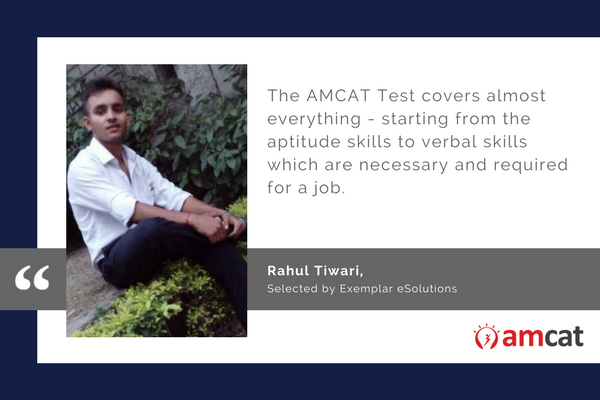 Slated to join Exemplar eSolutions as a marketing executive, he talks about the two things he was looking for and how the AMCAT Test fared on those counts. 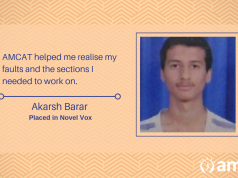 Tiwari had been looking for a decent job after college – a fresher job with a good profile. However, things were not as easy as he had hoped they would be. For Tiwari, this became the reason why he decided to opt for the AMCAT Test. His preparation was a sound strategy as well. “(You need to) plan your syllabus and practice those problems where you feel you are weak.” He particularly recommends focusing on the basics. Tiwari did not have to wait for long after giving the AMCAT Test. He received his first interview call within 2-3 weeks. AMCAT provided MANY opportunities from reputed companies. Congratulations, Rahul for making it through to a logical conclusion on your job search journey.We hope his experience helps you consider a similar trajectory and schedule an AMCAT Test today.